On the 1st July I took the first available ferry to Europe at 2.00am. That evening I was in Koldenkirchen on the far side of Hamburg having a hamburger – well it was actually something else I couldn’t pronounce – at a small-town wine festival, and as I don’t speak German and was the only Englishman for miles I could sit alone or chat to people. I decided on the latter, and inevitably Brexit came up. I was so touched by the genuine conversations I had. The world is full of lovely people. These talked about how important the UK has been in balancing the overwhelming power of Germany. They were quick to say how determined they are to keep the UK as ‘friends’, and a group of young people (ie, under 30) said they were shocked that only 30% of young people in the UK voted in the referendum. Needless to say, they were disappointed that we had made an ‘out’ decision as a nation. One, a newspaper photographer, voiced how he had spent a year in London and loved the free, globally multicultural atmosphere, commenting that he knew of no city in Germany that was like that. “Paris, maybe?” he said. Another talked of the need for the EU to change, to be more flexible, though neither of us had the faith to believe that would happen. Another comment was that they were not surprised, as we had never given the Project our all, and were geographically an island off the coast. “You are a smaller island now.” We’ll need to wait and see about that, to see what ‘size’ island we intend to be and what we can and will achieve. From my little bit of subjective research then, the voice of the German ‘proletariat’, the working people, is of sadness, of being left. All said how this was about governments, and not about the everyday relationships we have as people together, and how important it is that we continue to grow those relationships. Me too – and I’m keen to be an ambassador for ‘communities loving communities’, without all the political machinations getting in the way. I’ve got five more European countries to visit on this trip in the next two or three weeks as I head first to the Swedish Arctic Circle then into Estonia, etc. (The plan is to circumnavigate the Baltic Sea including the Gulf of Bothnia, though I’m missing out Russia) I’ll not ask everyone I meet about Britain and the EU, but if the subject comes up, maybe I’ll let you know. 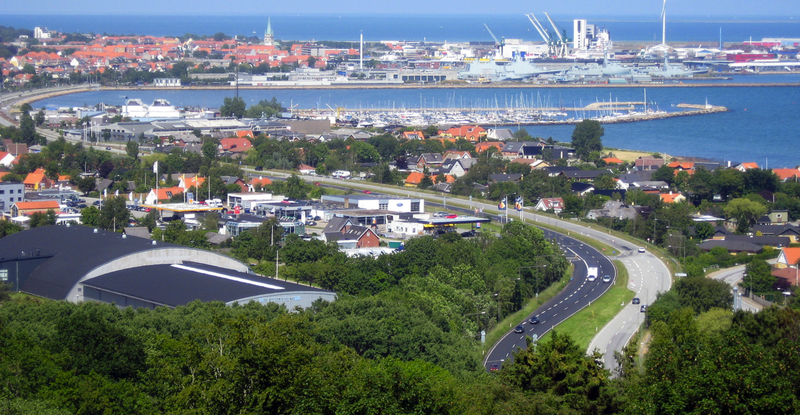 Right now I’m in a beautiful Spanish restaurant in Frederikshavn on the north east of Denmark – deserted on Saturday afternoons – ready for a crossing to Gothenburg at 3.00am, just finishing the first Fischsuppe (guess) of many on this adventure. Previous PostPrevious Courage Always Triumphs. Next PostNext I’m in northern Norway. Help me!